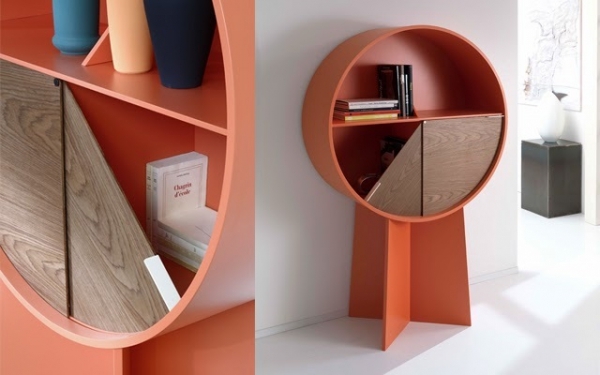 Like the changing faces of the moon, this creative cabinet takes on a multitude of configurations to stimulate and serve the space. 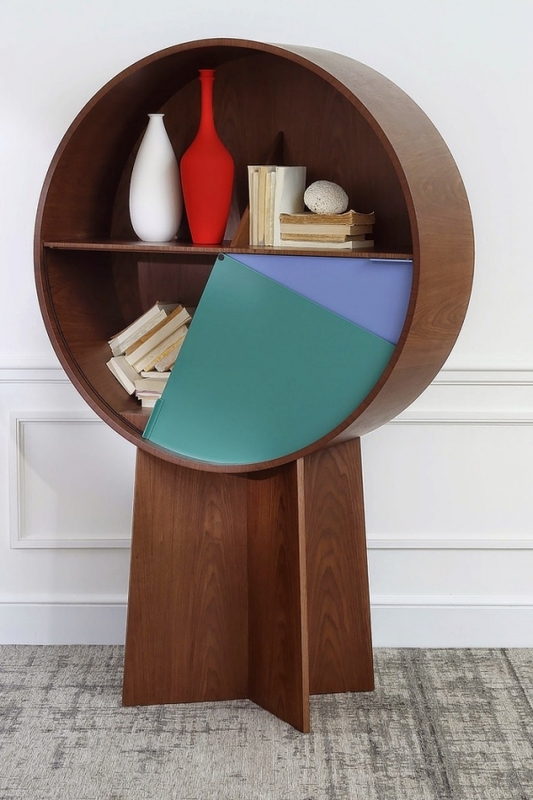 Envisioned by Spanish designer Patricia Urquiola, the Luna Cabinet transforms simple geometric sensibilities into a versatile and good looking storage and display unit. 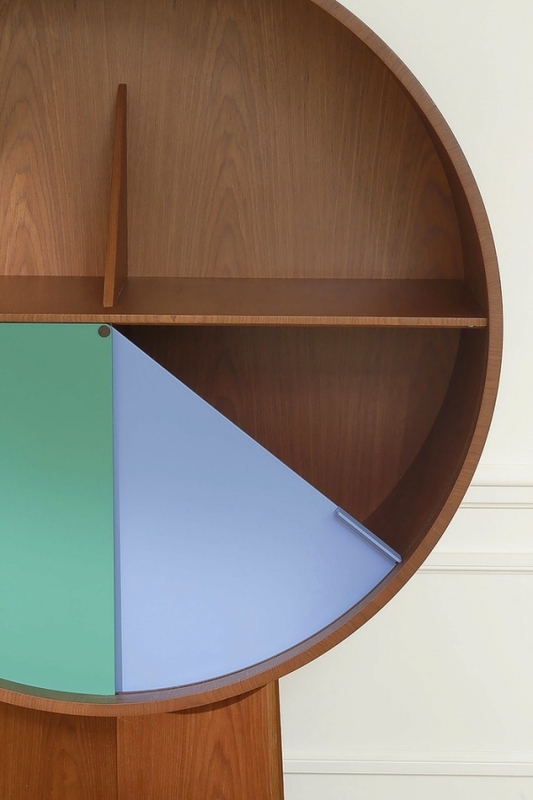 Exemplifying an elegant and delicate use of wood in interior design, this minimalist cabinet lets the inherent materiality and geometry of its design do all the work and all the talking. Brought to you by French contemporary furniture company Coedition, the Luna Cabinet is a perfect accessory for modern living spaces – no matter what the tone and use. 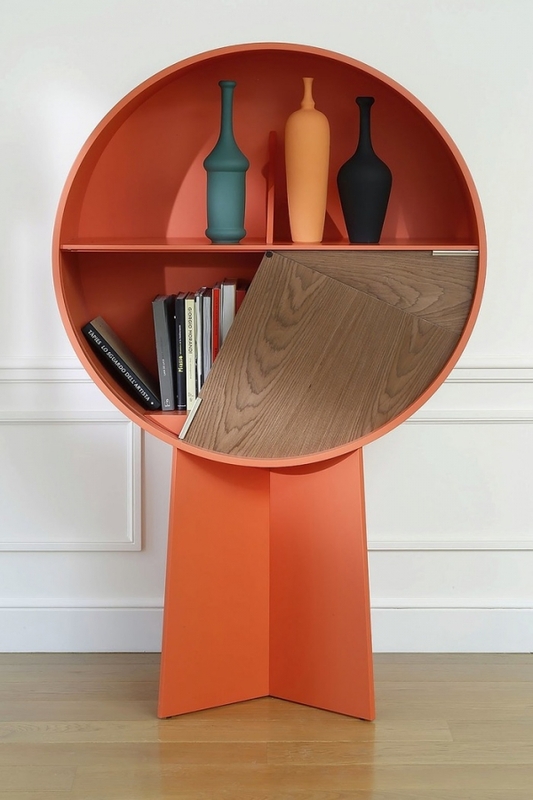 Measuring 175 x 110 cms in profile and 40 cms deep, this minimalist cabinet is carved out into three nifty compartments. 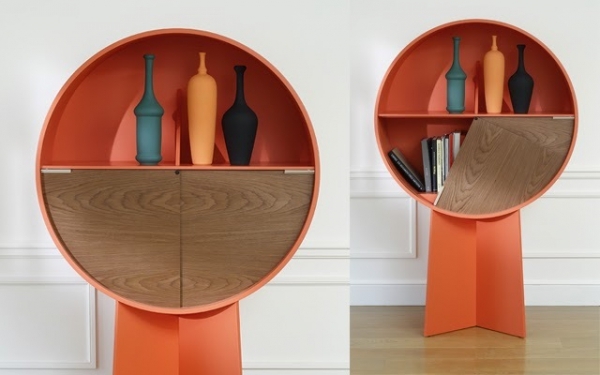 One of these occupies half of its cylindrical volume and is open to the space – ideal for displaying your prized possessions, books and knick-knacks. The two lower compartments – occupying a quarter of the cylindrical volume each- are concealed behind sliding doors that rotate around the central axis to offer access to their contents. 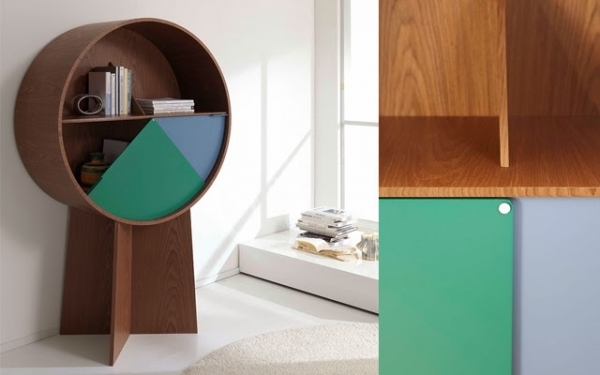 The design contrasts two distinct finishes – colored lacquer and varnished walnut veneer – to further accentuate its unique design. These are switched around in the different models available to inscribe a unique aesthetic and effect in each.